It’s time to prepare those Netflix gift cards because there’s some really great content coming out this month. If you’re passionate about movies, Netflix has all the content you want, and you’ll definitely want to check it out. 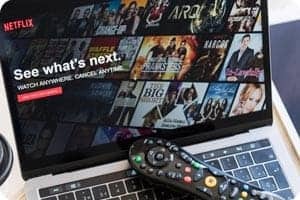 If you have questions about which VPN to use, check out the best VPN to use to stream Netflix. Triple Frontier tells the story of US vets that were shafted by the government. In turn, they want to rob a South American cartel and then disappear into retirement. But as you can imagine, this mission will be quite tricky. You can see how it all goes down now, since Triple Frontier was released on Neflix on March 13. Christopher Robin was a huge hit with kids, and now you can see the adventures of Winnie the Pooh and his gang with exceptional quality. The movie has been on Netflix since March 5. Despite the fact that not everyone likes reality shows, Queer Eye is popular because it’s grounded, life-affirming and also quite empathetic, which you really need with this kind of show. Season 3 of Queer Eye just arrived on Netflix on March 15. Netflix Originals are always quite interesting, and adding in some sci-fi elements can definitely add some excitement. This is an interesting sci-fi drama with thrilling elements and rewarding ideas. It was also just released on March 15. Amy Schumer is known for being ridiculously funny, and this special exudes her unique humor. If you’re a fan of Amy Schumer or simply want a cool comedy special, you’ll probably want to check out Growing, starting March 19. How to Get Away With Murder: Season 5 is finally coming to Netflix and you can enjoy it in all of its glory beginning March 30. And you still have time to binge the previous seasons before this one comes out! Anime fans will be happy to see that the 3 seasons of Hunter X Hunter have come to Netflix. These are the subbed versions, which makes them an enticing and fun experience. They’ve been available on Netflix since March 8. The Order is one of those interesting shows that features magic in ways you wouldn’t expect. The visuals are great and the story is quite inquisitive, so if you’re passionate about incredible stories, you’re bound to enjoy The Order. It’s also available to watch now, so you don’t have to wait to watch it. Kung Fu Hustle might be one of Stephen Chow’s older films, however it offers a great combination of fantasy and drama, with a bit of comedy along the way. This movie arrived on Netflix March 15. It’s a good idea to use Netflix gift cards to load up your account and watch these amazing movies and TV series. There’s a lot of great content to be had here, so if you are passionate about movies in general, you’ll find this month to be great on Netflix!. This entry was posted in MyGiftCardSupply, Netflix, Netflix Gift Cards and tagged Netflix, Netflix Gift Cards.